The elegance and energy of the sea—ever the instinctive passion of the Svevo man—is translated into a season of exclusive products, starting from the original Cashmere Denim, the modern evolution of a 30-year old archive yarn, now re-edited in its pure essence or blended with silk and wool. Also paired with the microfiber waterproof material, the rough and faded hand feel typical of denim becomes the foundation for easy and soft outerwear like the zip cardigan, the oversize hoodie and the varsity jacket, and even the extra-light reversible vest with 50-gram feather lining. 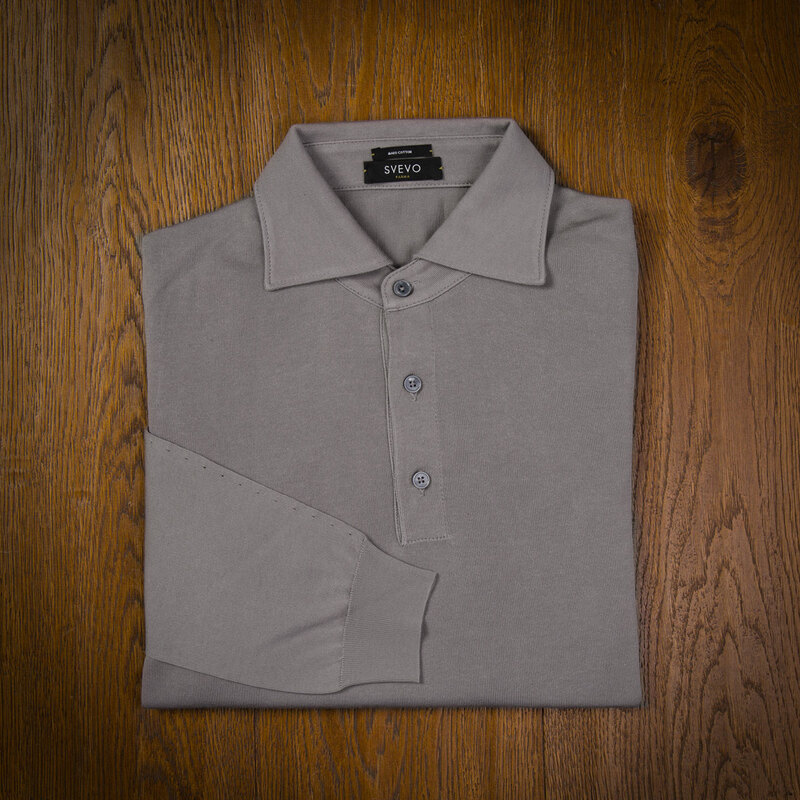 Svevo Parma light burgundy Polo. 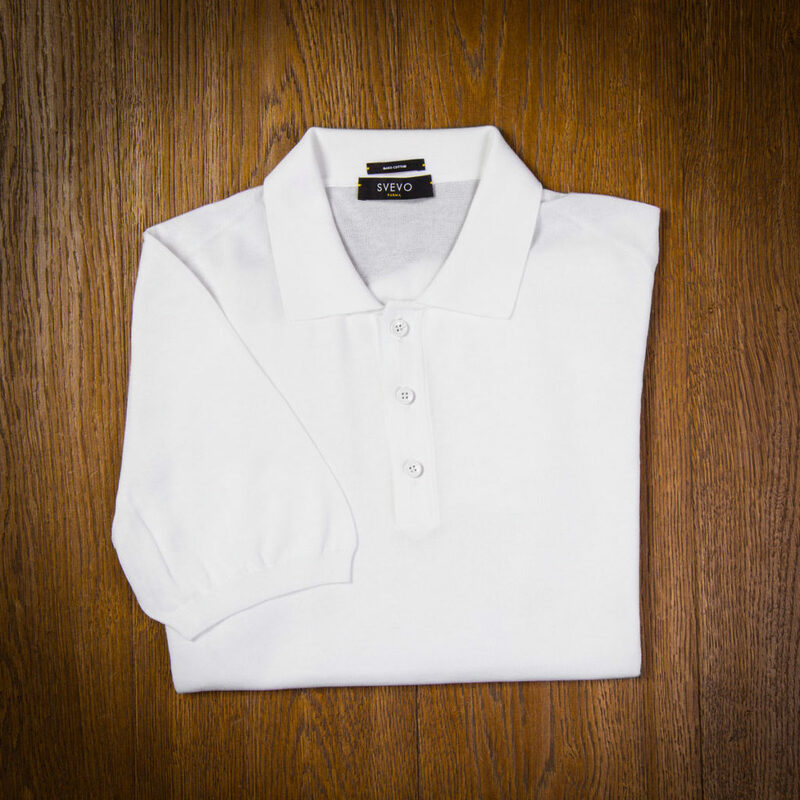 100% Cotton Mako, Made in Italy.